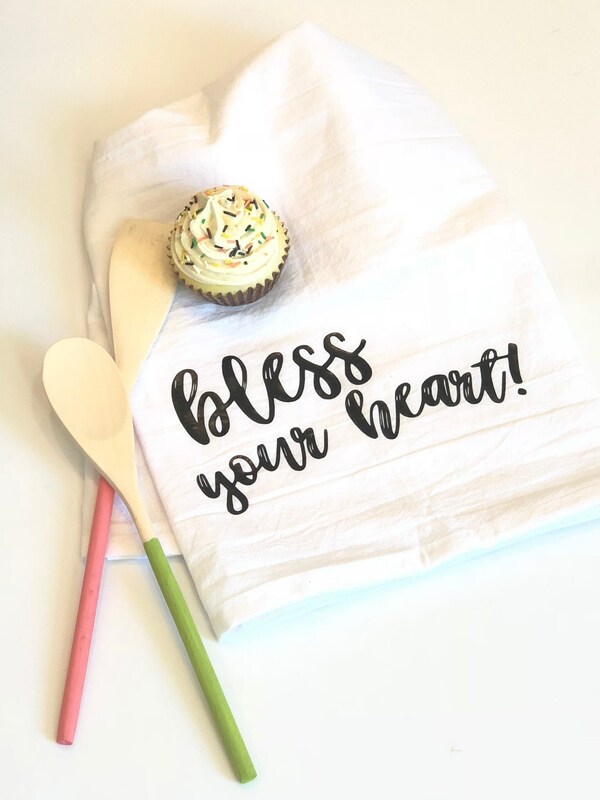 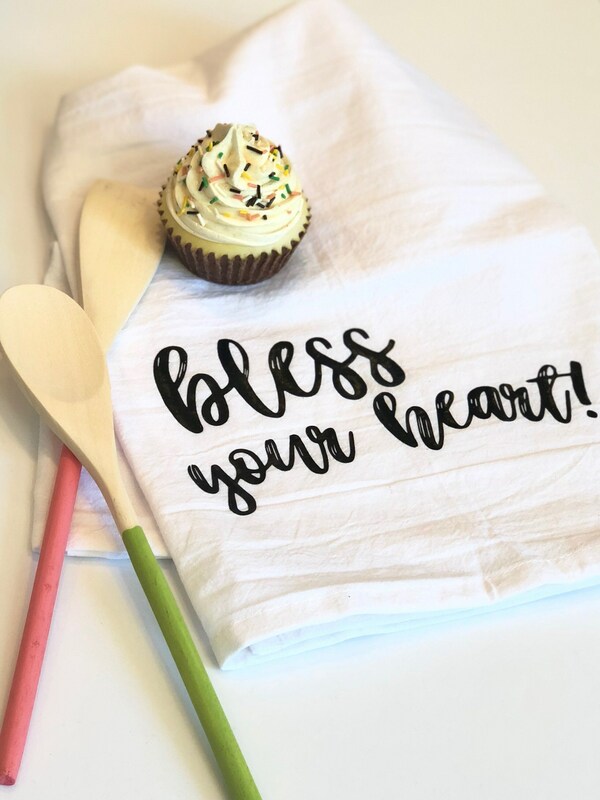 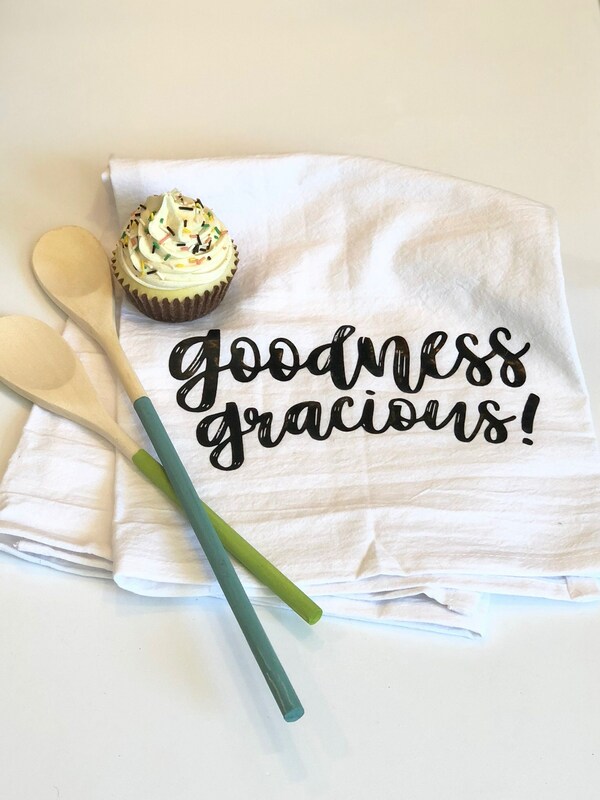 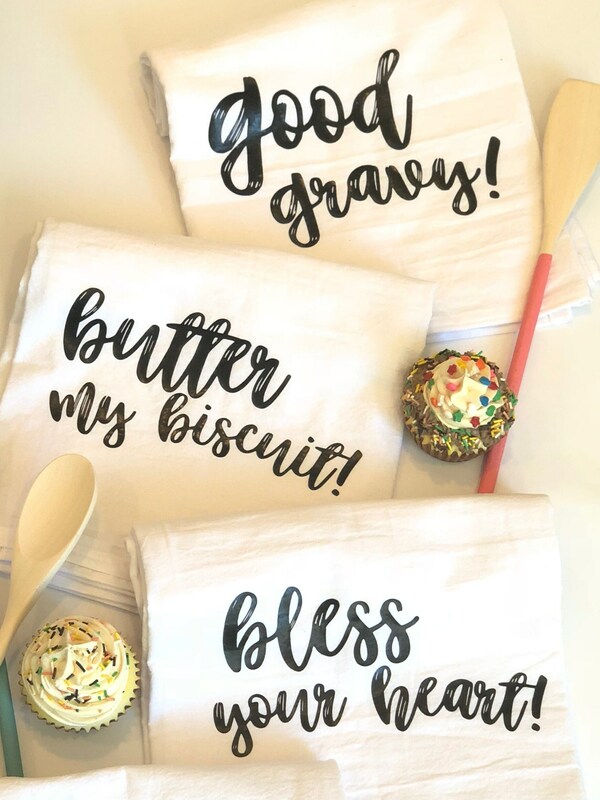 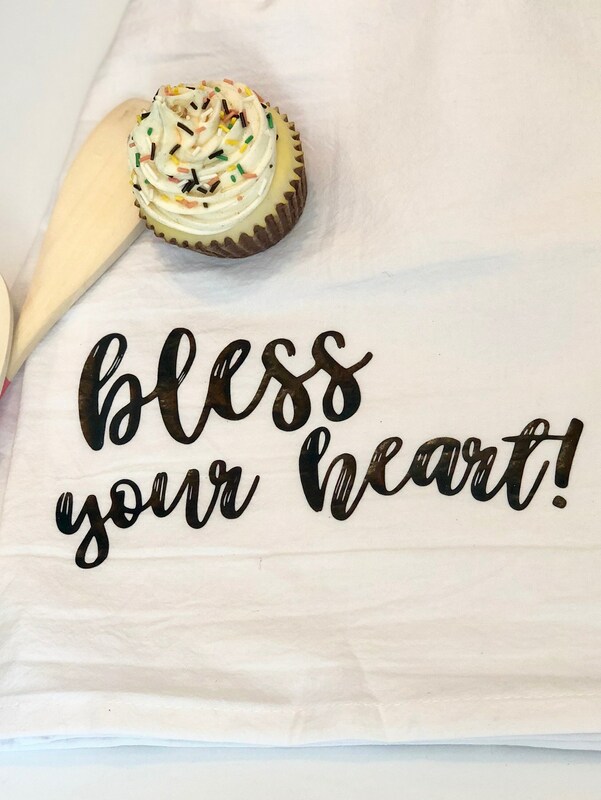 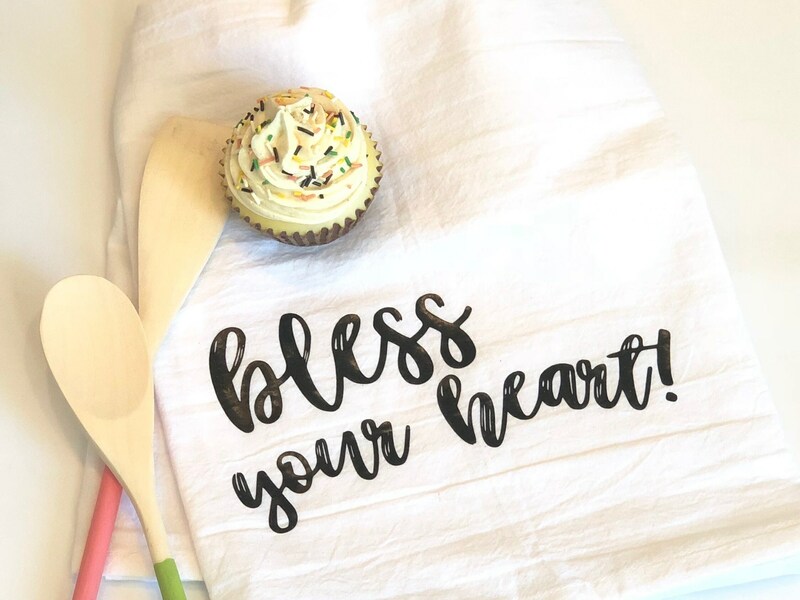 Show some southern sugar & spice in your kitchen with these adorable tea towels. 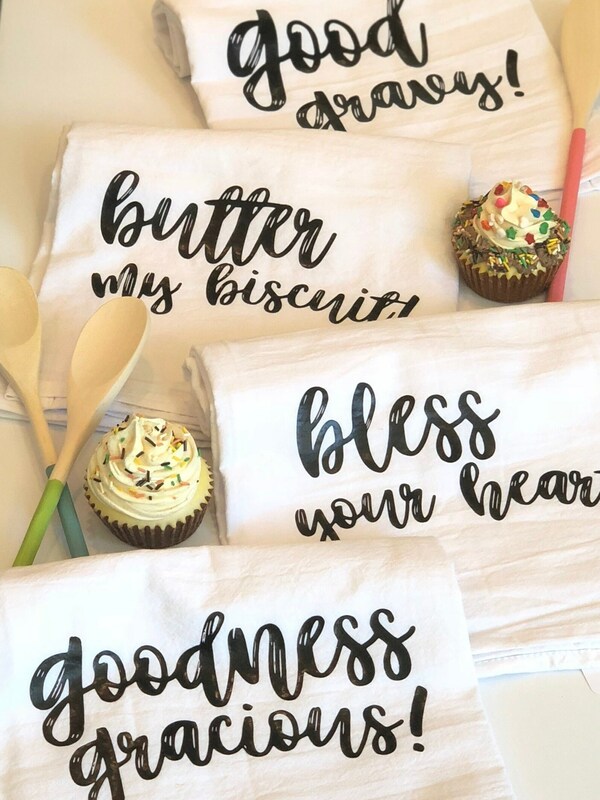 Choose from four southern sayings: Bless Your Heart, Goodness Gracious, Good Gravy, & Butter My Biscuit. 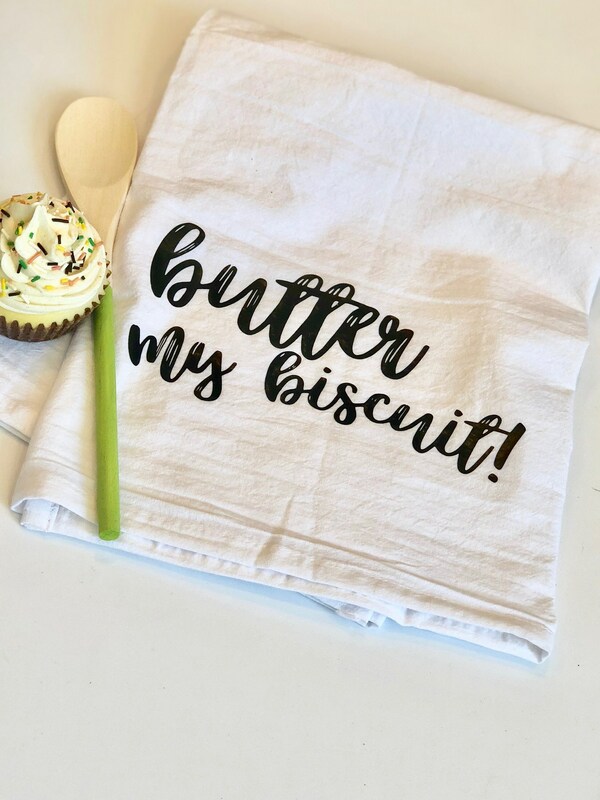 The towel measures 27" x 27" and is 100% cotton. 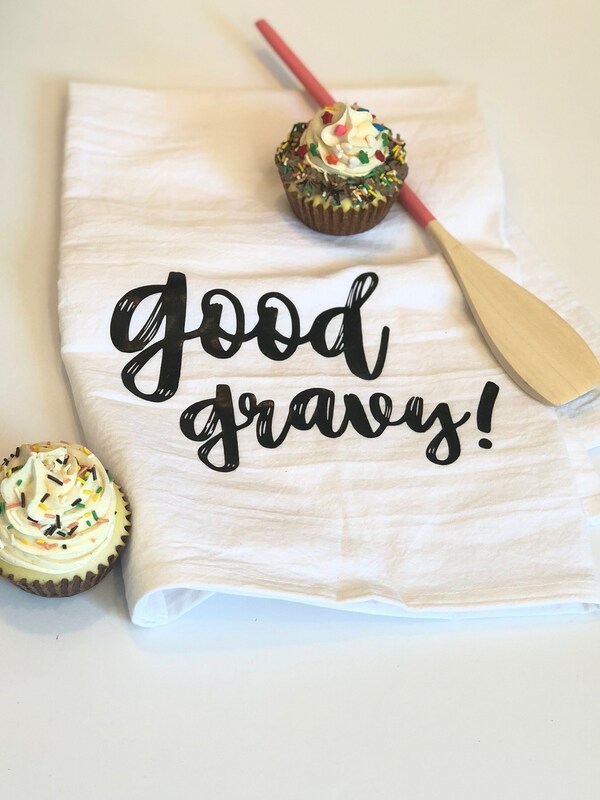 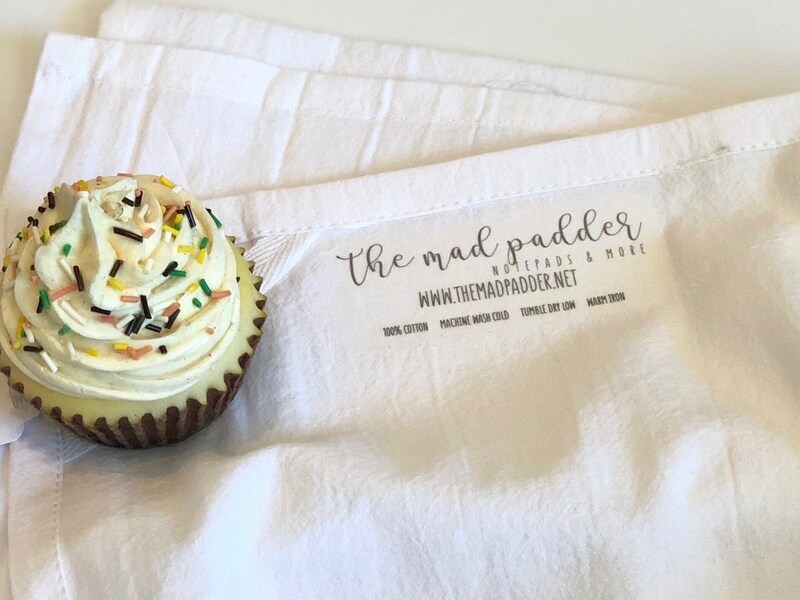 The words are heat-pressed and the towel is machine washable.